Anmeldefirst bis zum 5. Juli verlängert! 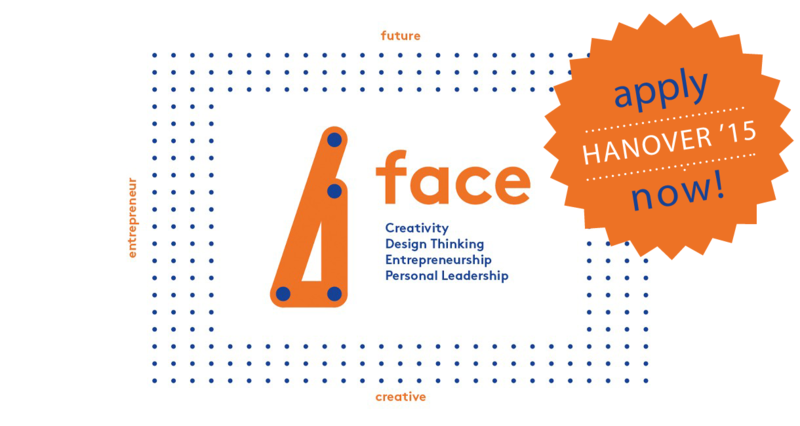 face is an international and interdisciplinary seminar on creativity, entrepreneurship and leadership. It allows individuals and groups to access their natural creative resources and to apply those to create value for themselves and for business challenges. learning process. Learning by doing and by game – to understand. people and their ideas, a method that connect creative and entrepreneurial action. face is about authentic development, courage to take responsibility and ‘connecting the dots’. face is a Design program for an entrepreneurial lifestyle. a network of students, coaches and creative industries from Europe. face is in total a 2 weeks program for 40 european students hosted by 7 int. Entrepreneurship Educators from France, Netherlands, Lithuania, Denmark and Germany. Apply now! Anmeldefirst bis zum 5. Juli verlängert! Interested to cooperate? Partners from the economy or institutions can contact us for further information.